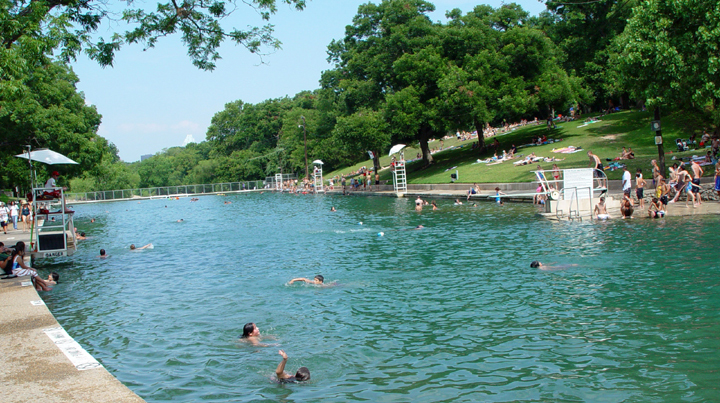 Tonight see’s a major debate about the future of Barton Springs, both the springs itself, and the surrounding area. As has become the norm’ views are polarized, on one side is Save Our Springs alliance who see their original ordinace under threat by the proposed change to the impervious cover rules, as well as other prosals to “Disneyfy” the springs. In the other corner stands the Friends of Barton Springs, who want to see grounds improvements, a new Americans with Disabilities Act(ADA) compatible entrance, at the back of the pool, along with a paved parking area and many other general site improvements. I must admit, although a member of FBSP, I’m inclined in this instance to side with SoS Alliance. No doubt though this will be a long, drawn out public hearing. You can read the background and various proposals here. The Board will allow public testimony, and will vote on the plan tonight. You don’t have to sign up to speak but if you decide to, be prepared. I don’t think I can make it, but will try.